Charge it and start beating people down the hill! 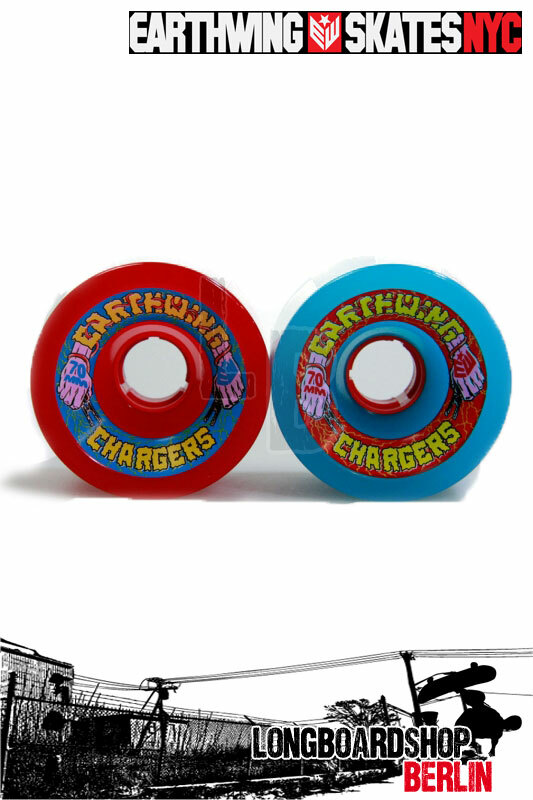 Earthwing has hit it on the head again with this longboard wheel, the 75mm Chargers! Not only are these wheels fast, but they have a smooth and controlled slide when free-riding and shedding speed before tight corners. It would be hard to call this wheel just a downhill or free-riding wheel as this wheel can do it all; cruise, carve, slide, race, you name it! Grab a set of these longboard wheels if you are looking for a great wheel for your everyday board.